When former Mayor Edward Irving Koch (December 12, 1924 – February 1, 2013) is buried in Trinity Cemetery tomorrow, he will join three former mayors in the burial ground bordering the Audubon Park Historic District on the south: Cadwallader David Colden (1769-1834), Fernando Wood (1812-1881), and Abraham Oakey Hall (1826-1898). Famously outspoken and colorful, Mayor Koch will find himself in good company with Wood and Oakey. Compared to that trio, Colden’s term in office was reasonably calm. He became mayor when his friend and fellow Freemason, DeWitt Clinton, was elected governor of the state in 1817 and persuaded the Council of Appointments (which appointed the mayor) that Colden was the man for the job. Although Mayor Colden suffered politically because of his ties to the unpopular Clinton, he made headway reducing crime and alleviating poverty in the city, though his greatest achievement was championing the Erie Canal, a waterway that ensured New York City’s preeminence as a commercial hub. Described in his lifetime as elegant and refined, Fernando Wood, who has had a recent moment in the spotlight in the film Lincoln, is remembered as ruthless and ambitious. A Copperhead through and through, during his second term in office (1860-1862), he advocated that New York City secede with the southern states so that it could continue its profitable cotton trade. Later, while serving in the U.S. House of Representatives, he was censured for “unparliamentary language,” apparently for injudicious use of the word “infamous.” Wood is credited with mentoring the master of corruption, William Magear (Boss) Tweed, who in turn promoted the mayoralty of Abraham Oakey Hall. Elegant and educated, the Republican Oakey was an excellent front man for the graft and corruption that marked Democratic Tamany Hall during the Tweed years. Brought to trial twice, Oakey explained away his many signatures on suspicious invoices with the tried-and-true excuse that he was too busy to read each one in detail. He was convincing enough that his first case ended in a mistrial and the second with an acquittal. 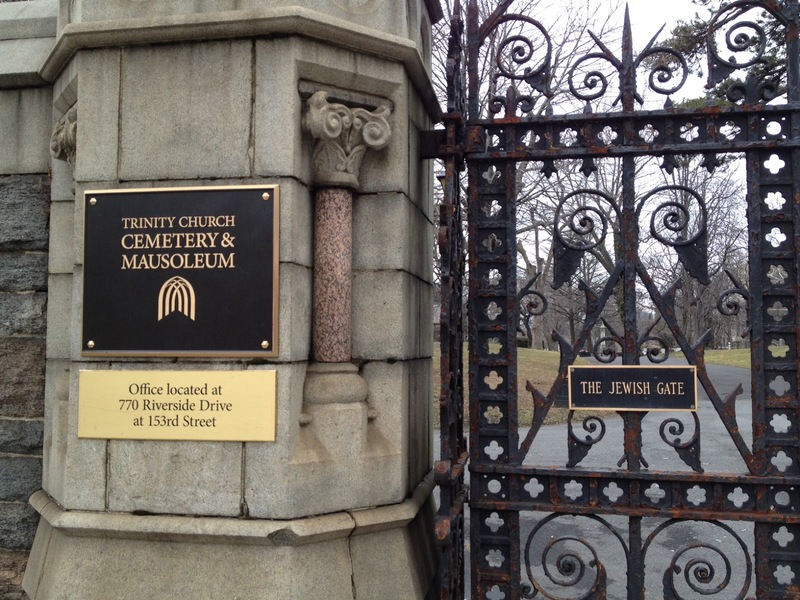 Although Trinity Cemetery is owned and operated by Trinity Wall Street, an Episcopal Church, it has been multi-denominational since its early years, though the non-Episcopalians were either members of other Protestant denominations or unaffiliated with any group. Among the latter, was John James Audubon who was Catholic by baptism, but practiced no known religion during his adulthood. In the later part of the 20th Century, when unsold burial plots became scarce, Trinity added a mausoleum at its western end, expanding it several times to accommodate demand. Among non-Christians interred there is the Jewish actor Jerry Orbach, who knew the surrounding neighborhood well from many film shoots of Law and Order. At $20,000, Koch paid quite a premium for his lot in 2008, compared to the $97.10 the Audubon family paid for a similar-sized lot in 1851 ($2,090.00 in 2008 dollars). However, Koch died with the assurance that he would remain in New York, easily accessible for visits from his former constituents, via the 1-train (Broadway and 157th), the C-train (Amsterdam, and 155th), or the M104 bus stop at Broadway and 155th. 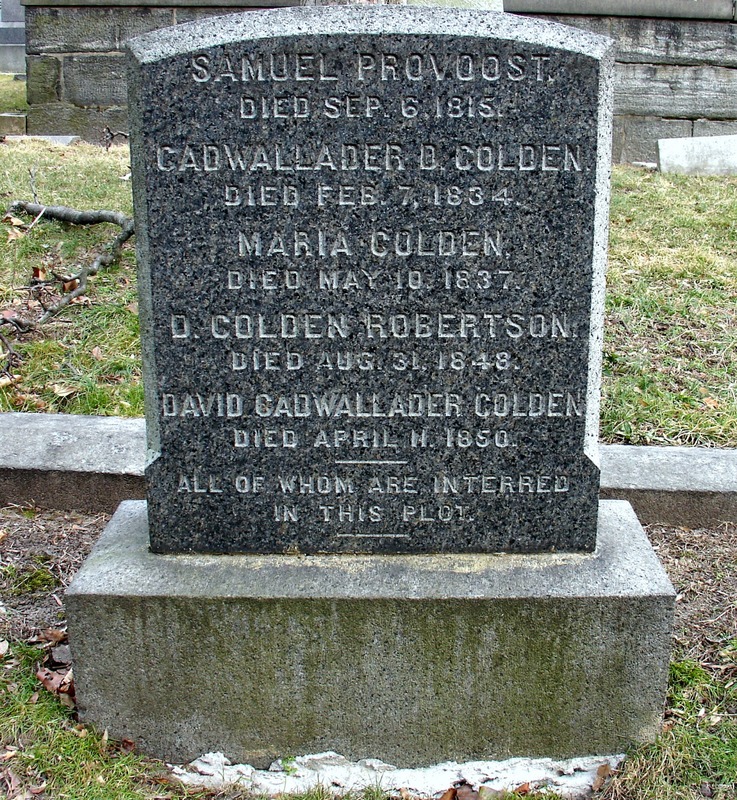 An interesting footnote: Until just recently, Mayor Cadwallader Colden’s presence in Trinity Cemetery was forgotten and sources located his burial place in Queens. However, while Trinity Cemetery historian Eric K.Washington was searching for the burial place of David Colden, a friend of Charles Dickens, he found the elder Colden, who was buried in New Jersey when he died in 1834. In 1843, he was reburied in Trinity Cemetery in a plot that lay in the line of 11th Avenue as laid out on the Commissioners’ Map. When the city extended the Grand Boulevard to 155th Street, Colden was moved to his present location in the western portion of the cemetery. Posted in Audubon Park Historic District, Eric K. Washington, Mayor Ed Koch, Trinity Cemetery. Bookmark the permalink. It will be interesting to see how his arrival affects cemetery visitation. @ Wayne – Hi Wayne. We met some years back when I was researching my “Manhattanville” book. When I discovered Mayor Colden, I was triply surprised that he could have gone unnoticed for so long, bookended as he was by his illustrious father-in-law and son.